The Ride | Gremlins Online! That is a question that has been asked by gremlins fans worldwide. 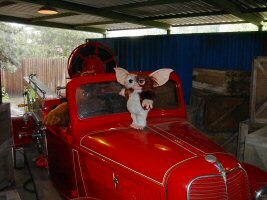 Gremlins Invasion is a ride at Warner Brothers Movie World Germany, and finding information on it has been something of a challenge. Thankfully there have recently been some discoveries on various details, and here we will do our best to share that with you. This section of Gremlins Online is still under extensive construction, so check back often to see what develops! The ride begins with you and your fellow visitors filing into a special car to watch some outakes from various Warner Bros films, hosted by none other than ALF himself. 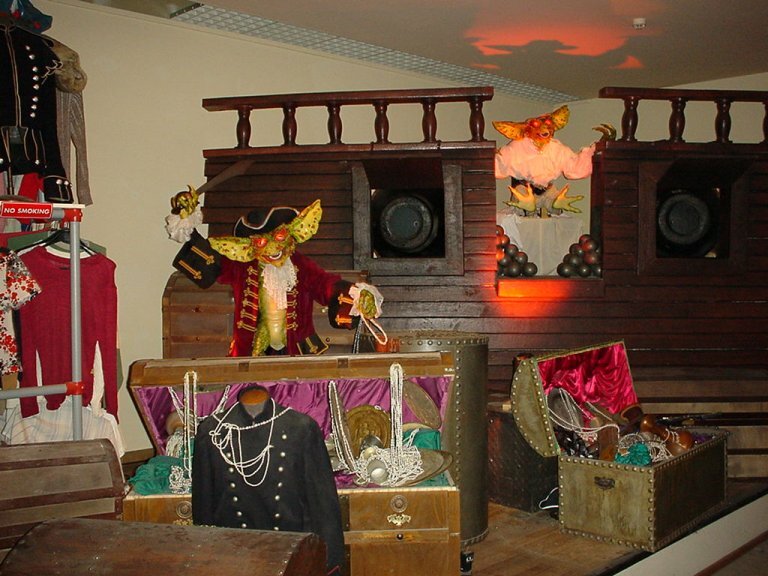 Your theatrical experience is cut short, however, as the gremlins are on the loose! ALF tells you that you can escape through the WB film archives and Gizmo is here to help you get out of this nightmare. As you ride through the archives, the gremlins are all over the place some spoofing scenes from Warner Bros. movies, others just causing general gremliny chaos. Things keep getting worse, the gremlins start destroying the original prints of Warner Bros. most famous films, and the legendary sets from our favorite movies! Things look bleak, but just when you think you are forever trapped by the little green beasties, Gizmo and ALF find a “Shocking” way to eliminate the Gremlins and save the day! Here it is folks, the big one, the full ride including the bloopers reel that gets “interrupted” by gremlins. The ride takes a lot of liberties with the gremlins lore, but it is awesome to see in it’s full glory! Thanks to Roy for sending this in! Another video clip of the ride. Thanks to Tomas for the submission! 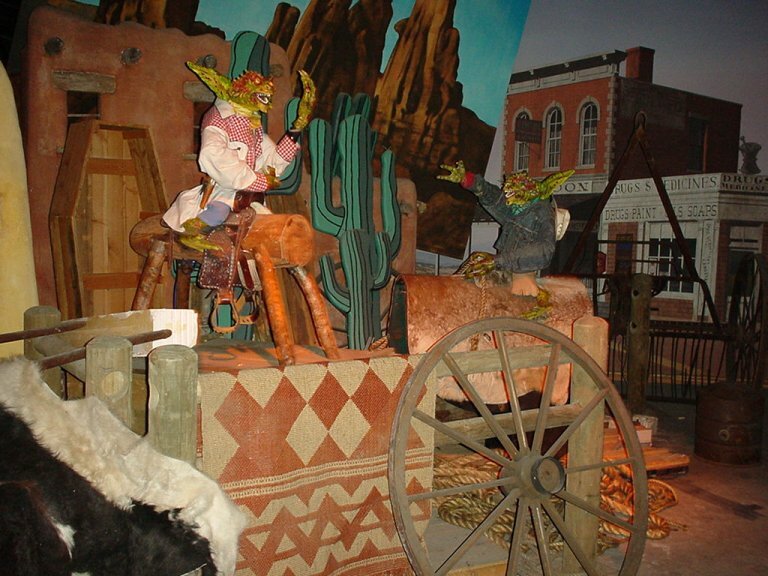 The ride was originally located in two WB Movie World theme parks, Germany and Australia, opening in 1996 and 1991, respectively. 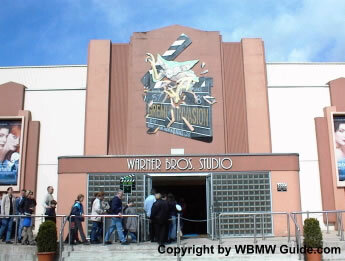 The Australian ride was removed to make way for a Scooby-Doo ride based off of the film in mid 2001. Closed: 2001 due to pending retrofit for Scooby-Doo ride. The Great Gremlins Adventure starts harmlessly. Seated in a comfortable screening room, you’ll see some of Hollywood’s funniest out-takes – the bits that didn’t make it onto the silver screen. But suddenly something goes wrong and everyone must evacuate! Gremlins have taken over! Prepare for an escape through the backroom film vaults. But watch out! There are 56 Gremlins on the loose! Photos are the property of the original owners, and Gremlins Online claims no copyright on any of the pictures unless otherwise noted. 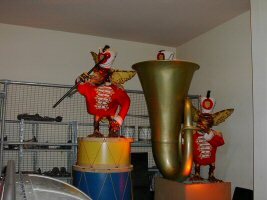 I posted this on the Expedition Theme Park video in YouTube too, but thought it’d be good here too… I recall when they announced the Australia Gremlins ride shutdown I emailed the park asking if it was possible to purchase one of the Gremlins from the ride (it was a long shot, I know, but worth a try). 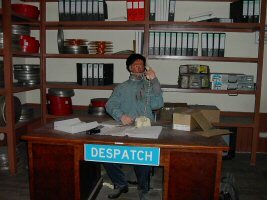 I remember getting a reply explaining they were actual MOVIE PROPS and not for sale, and they’d all been returned to WB storage. 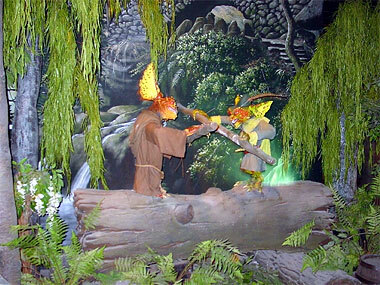 This is my first time learning of a German version of the ride, and also my first time watching both of the ride footage side-by-side, and I think this lends credibility to this – in the Aus version, you can clearly see some familiar faced Gremlins, and their animation is mainly body movement/stiff. The German version (which existed at the same time) looks more cartoony, with animated faces and light-up eyes, suggesting new props for that ride and not repurposed not movie props. Would be interesting if anyone can dig up proof on this! While the definition of “Movie Props” may be fuzzy. (Screen used vs cast from actual props, replicas, etc) these were likely not original screen used props. Very few of the gremlins used on-screen were full body, many were half bodies or made so cables could control portions of their bodies. Plus many were very abused in filming and the latex degrades incredibly quickly. 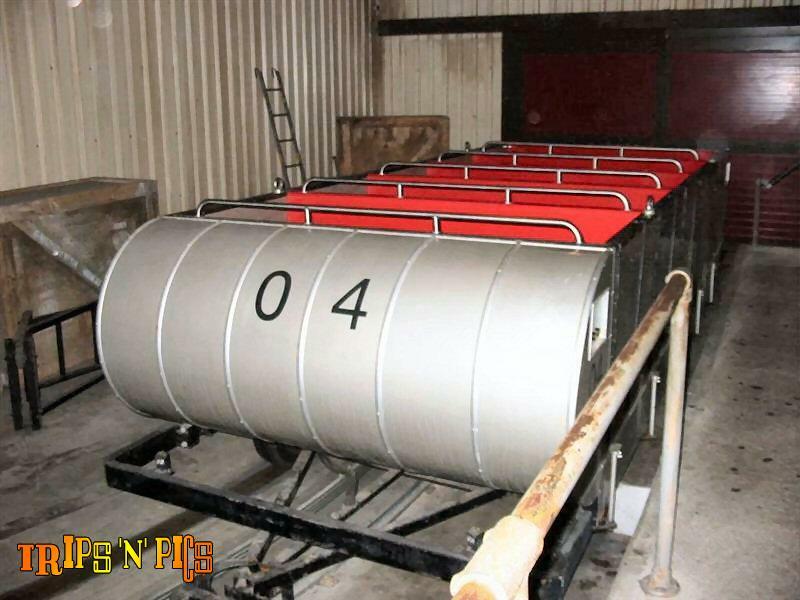 That said it is always possible that there were some that were repurposed for the ride(s). 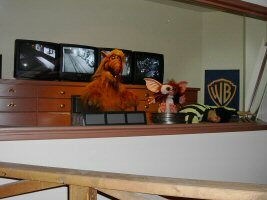 The Warner Bros Movie Store used to have Gremlins in the rafters and they were to be destroyed when they closed the shops (if not sent back to a holding company) as WB is VERY protective of their items. They don’t want to see a gremlin showing up as a promotional tool in a bar or something unauthorized. This is likely why they didn’t want to sell you the ride gremlins. Plus they know scalpers exist. Yeah i remember this ride from Movie World Australia. 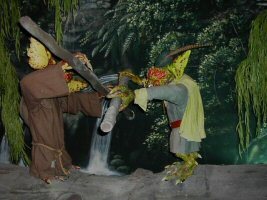 Instead of Alf there was a full size animatronic Betelgeuse. The Gremlins were destroying all the film equipment, starting fires, pulling down walls and shelves and things. Its now the Scooby-Doo Spooky Coaster.